We offers a wide range of Sodium Alginate, which are applicable in Pharmaceutical, Textile and Food Industries. They can be also used as a printing agent and helps in making the product outline clear, providing a bright color and a smooth texture and available in industry at leading prices. Sodium Alginate is white or yellowish powder, almost tasteless and odorless. It is a highly polymerized compound with high viscosity, also a kind of typical hydrophilic colloid. We are presenting a quality tested array of Sodium Alginate. 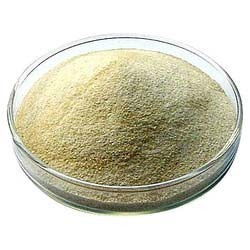 The Sodium Alginate we offer is widely demanded by the clients for their availability in various packaging. Offered products are a flavorless gum which is widely used in food industry. Known to increase viscosity of water these products are hygienic nature.